As a professional transportation planners, we can suggest effective and certain transportation solutions. Our transportation planning services cut costs and ensure safety. Please contact us for advice regarding the most efficient and cost-effective modes of transportation available. 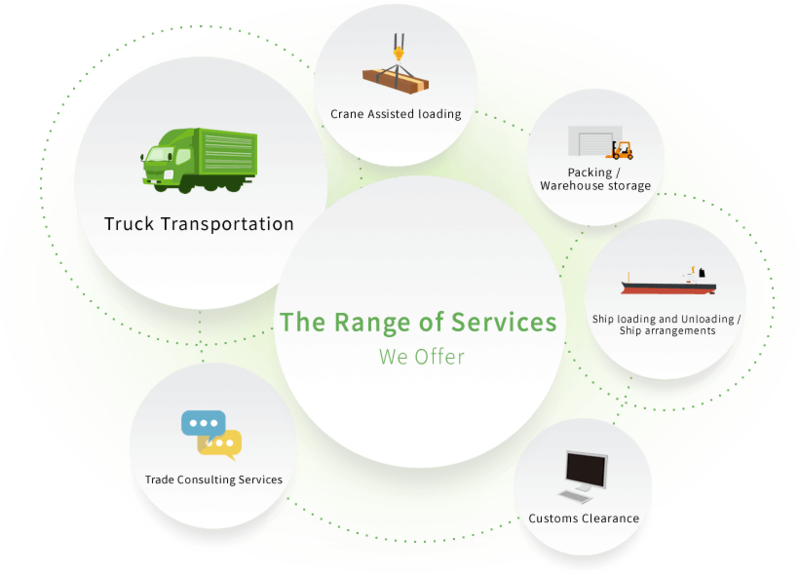 If you are unsure of the most cost-effective means of transportation, or if you need to reduce the cost of your current shipping arrangements, , please consult us. Our bonded storage facility at Fukuyama port has 11,559㎡ of space. Cargo from China, Korea and South Asian countries is stored there regularly. Our multimodal transportation service can handle all of your shipping and trucking needs. Copyright©2015 MARUKA TRANS CO.LTD All Rights Reserved.